Remind customers who made their delicious moment possible every time they take a sip of their favorite beverage from this flask! It's made of stainless steel with double wall construction and holds up to 6 oz. of liquid. This is great for a quick taste in many situations. 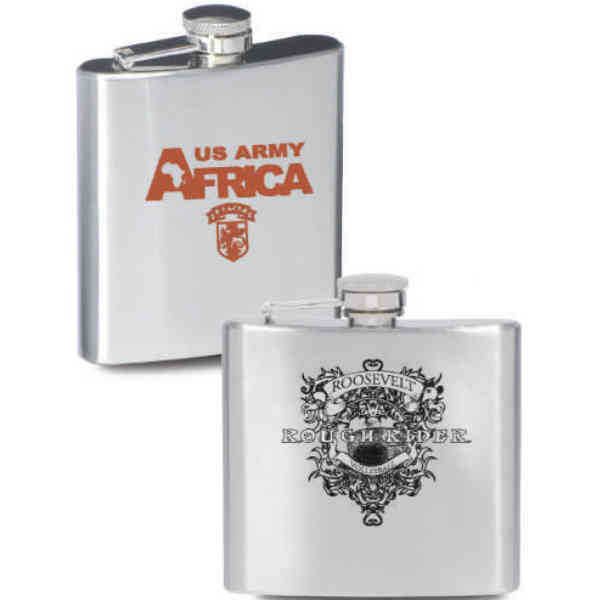 It comes in silver and can feature your company name or logo on front thanks to any one of our multiple imprinting methods. Give this out and gain the appreciation of new customers! Price Includes: Each color to be matched on orders of less than 576 pieces.